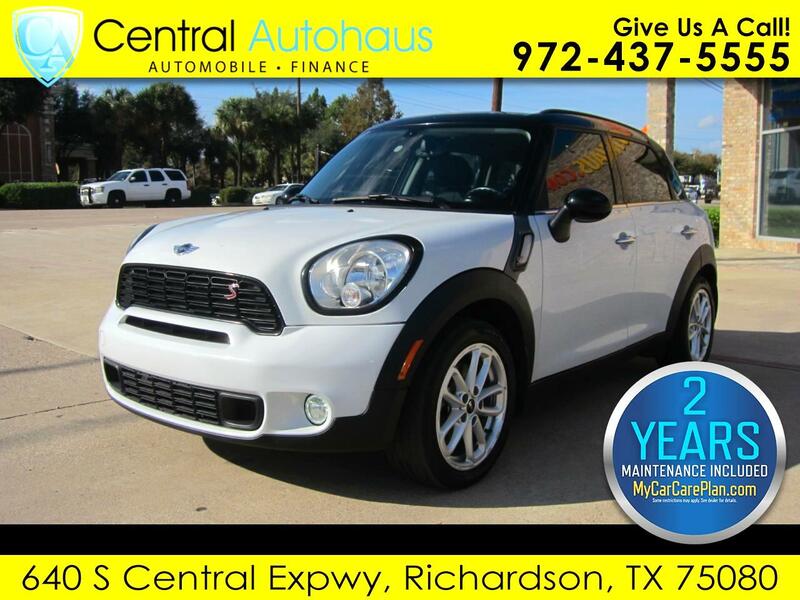 Visit Central Autohaus online at www.centralautohaus.com to see more pictures of this vehicle or call us at 972-437-5555 today to schedule your test drive. Disclaimer: All advertised prices exclude tax, title, licensing, $150 documentary charge, and any emission testing charge. The price for listed vehicles as equipped does not include charges such as: registration fees, dealer added equipment, state or local taxes, dealer prep, government fees, and reconditioning fees. Vehicles are subject to prior sale. Please verify all information. Dealer is not responsible for typographical, technical or misprint errors. Contact us via phone or email for more details. Fuel estimates reflect new EPA methods beginning with 2008 models. Your actual mileage will vary depending on how you drive and maintain your vehicle. Actual mileage will vary with options, driving conditions, driving habits and vehicle's condition. Mileage estimates may be derived from previous year model. Prices are subject to change without notice. On OAC. It is the customer's sole responsibility to verify the existence and condition of any equipment listed. Neither the dealership nor Dealer Car Search is responsible for misprints on prices or equipment. It is the customer's sole responsibility to verify the accuracy of the prices with the dealer. Pricing subject to change without notice. All advertised prices exclude government fees and taxes, any finance charges, any dealer document preparation charge, and any emission testing charge. The price for listed vehicles as equipped does not include charges such as: License, Title, Registration Fees, State or Local Taxes, Dealer Prep, Smog Fees, Credit Investigation, Optional Credit Insurance, Physical Damage of Liability Insurance, or Delivery Fees. DEALER makes no representations, expressed or implied, to any actual or prospective purchaser or owner of this vehicle as to the existence, ownership, accuracy, description or condition of the listed vehicle's equipment, accessories, price, specials or any warranties. Any and all differences must be addressed prior to the sale of this vehicle. Message: Thought you might be interested in this 2015 MINI Cooper Countryman.